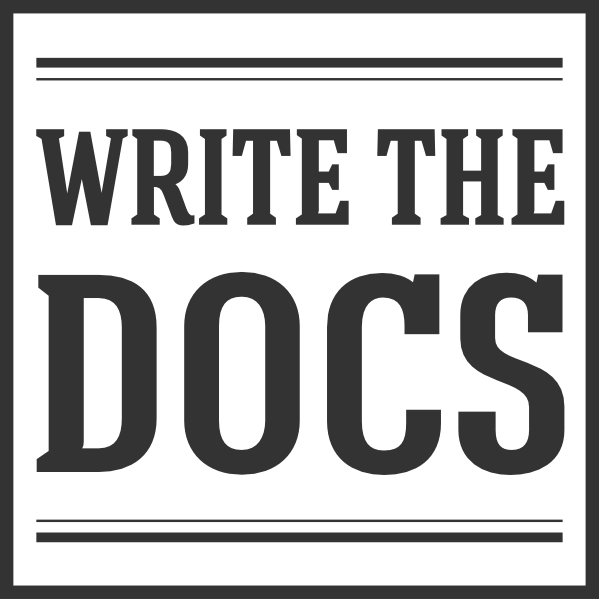 2016 was a wonderful year for Write the Docs, it marks our fourth year of existence, and was the year that we coalesced into a more cohesive community. This post covers a few stats and tidbits of information that we feel mark our progress. We plan to report these each year from here on in. The conferences continue to be the yearly physical manifestation of our community. They are the time each year where hundreds of wonderful folks gather and have a great time, while learning so much from each other. Proving each year that work can be both fun and informative is one of my greatest pleasures. We continue to publish videos freely to the public. This is done so that the information can be most widely shared, and help people who may not be able to attend the events. Write the Docs always strives to be as inclusive as possible, and continuing to publish these videos is part of our commitment to openness. This is the part of the community that I’ve been most happy with this year. Our Slack network has really caught on, and folks are discussing a wide range of topics every day. It really feels like this is where the community is thriving, and it is becoming the default way of contacting folks inside the Write the Docs community. The newsletter has been the second initiative that has really taken off this year. We had a few conversations about how to archive Slack in a good way, and the idea of sending summary updates each month was an inventive way to handle this. I think it has been full of value each month, and is a wonderful way to keep tabs on the the community if you can’t keep up with Slack. Our meetup community has continued to grow across the globe. We have active meetups on 4 continents now, which is astounding and quite exciting. I think that the monthly meetup is another great way for folks to become leaders in our community, and it’s great to see so many people stepping up and making it happen. A few different folks have talked about doing a podcast, and this year we finally got the initiative off the ground. This is a fully community run podcast, and was organized by members in the community. The first two episodes are out, and we’re quite excited to see how it goes in 2017! Write the Docs has long been a volunteer effort. This year we are experimenting for the first time with having a small staff be paid for their work. This is limited mainly to our conferences, as they are an incredible amount of work to put on, and we risk burning out volunteers with a lot of the grunt work. This year we are paying Mikey Ariel and Sam Wright a (very below market rate) stipend to make sure they can devote time to make the conferences happen. The funding from this is taken from our conference budgets, and is part of the ticket price increase that we’ve enacted this year. We want to maintain the volunteer and open nature of our community, and value all the wonderful people who are a part of it. We’re open to any feedback about this decision, and hope you will support us on our path to making sure the events and community are sustainable over the long term. At every conference I make it a point to thank the audience. People who believe in our community are the ones who make it happen. So thank you to everyone who has been a part of making this community something that keeps growing and evolving. I’ve been humbled by the empathy and wonderfulness of this community, and all I can hope is that we continue to strive to be as helpful and welcoming as possible. Here’s to another wonderful year.